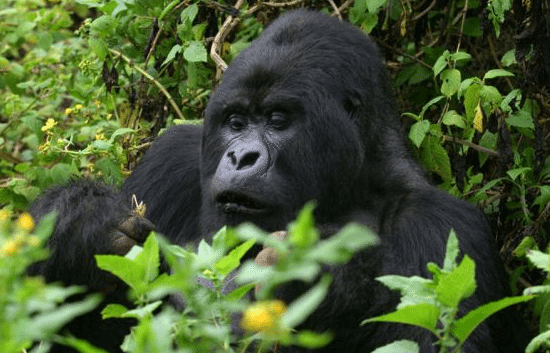 This safari features Bwindi National Park famous for its Gorrillas and also Bunyonyi known for its variety of birds species before crossing over to Rwanda after a boatride at Kisoro. This safari for takes you through the following destinations: Bunyonyi, Bwindi, Nkuringo and Lake Mutanda among others. While we have suggested accommodation options for this safari, we are open to your suggestions of the hotels you would prefer but we shall always guide you on your accommodation choices based on our expert experience. This safari offers the ultimate Gorilla experience and later a great walk in Virunga National Park. 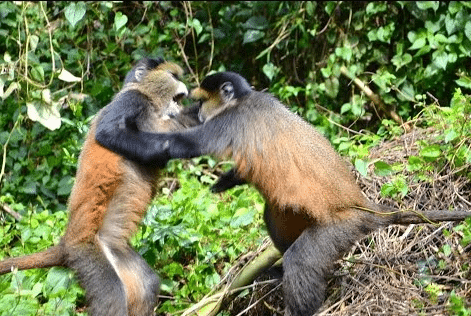 In Bwindi Impenetrable National Park, we take the famous Gorilla trekking safari in this thick forest before proceeding to Nkuringo and later to Mgahinga for the best wildlife experience which includes , elephants, bushbucks, golden monkeys, leopards etc. While on this safari, we have suggest accommodation as per the itinerary but clients are free to chose alternative accommodation depending on one’s interest and budget. We are always available to offer accommodation advise where need be. 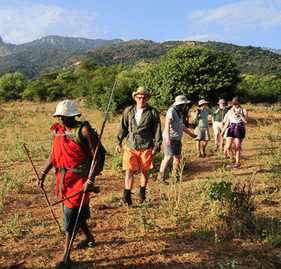 This safari combines walking safaris and game viewing safari in Semliki and Queen Elizabeth National Parks besides a primates tour in Kibale. 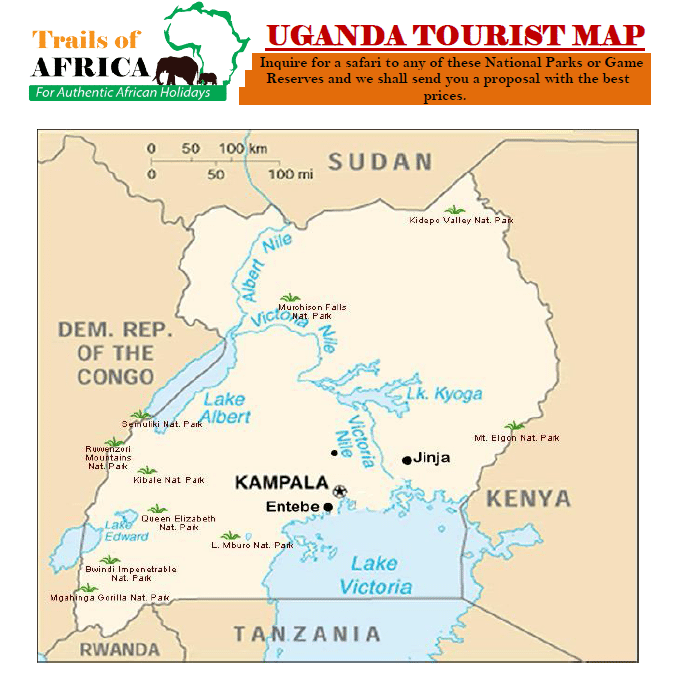 This safari takes you through the following National Parks/ Destinations: Murchison Falls, Kibale and Queen Elizabeth among others. While on this safari, we have suggest accommodation as per the itinerary but clients are free to chose alternative accommodation depending on one’s interest and budget. We are always available to offer accommodation advise where need be. This safari combines walking safaris and game viewing safari in Mgahinga National Parks while trekking of gorillas takes place in either Kibale or Bwindi National Parks. This safari takes you through the following National Parks/ Destinations: Kibale, Bwindi, Batwa Trails and Mgahinga among others. While on this safari, we have suggest accommodation as per the itinerary but clients are free to chose alternative accommodation depending on one’s interest and budget. We are always available to offer accommodation advise where need be. This safari offers a great combination of gorilla trekking and walking safari while also enjoying the great wildlife collection of Uganda as you traverse through the Uganda’s great national parks like Lake Mburo, Buhoma and Queen Elizabeth among others. While on this safari, we have suggest accommodation as per the itinerary but clients are free to chose alternative accommodation depending on one’s interest and budget. We are always available to offer accommodation advise where need be. Uganda, the “Pearl of Africa,” is one of the most beautiful countries on the continent. Gorilla trekking and chimpanzee trekking are the country’s major attractions, along with the friendliness of its people. A country with fantastic natural scenery and a rich mosaic of tribes and cultures, travelling through Uganda you will be captivated by its beauty, overwhelmed by the friendliness of its people and intrigued by all that Uganda has to offer. Ecologically, Uganda is where the East African savannah meets the West African jungle. Where else but in this uniquely lush destination can one observe lions prowling the open plains in the morning and track chimpanzees through the rainforest undergrowth the same afternoon, then the next day navigate tropical channels teeming with hippos and crocodiles before setting off into the misty mountains to visit the majestic mountain gorillas? For a relatively small country, there’s a lot that’s big about the place. It’s home to the tallest mountain range in Africa the source that feeds the world’s longest river and the continent’s largest lake. And with half the remaining mountain gorillas residing here, as well as the Big Five to be ticked off, wildlife watching is huge. Most travelers come for the gorilla Safari, but other major draws are the chimpanzees, ornithology, trekking the Rwenzoris and visiting the source of The Nile River. We are bordered by the Republic of South Sudan to the North, the Republic of Kenya to the East, the Democratic Republic of Congo to the West, and the United Republic of Tanzania and the Republic of Rwanda to the South. 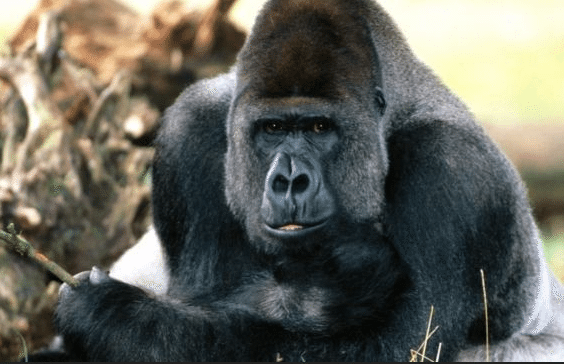 Uganda is home to gorillas and chimps. The Bwindi impenetrable forest offers the unforgettable Gorilla trekking experience. The Murchison Falls Park offers Nile cruises, Queen Elizabeth Park scenery and Lake Edward both with wildlife and birds. The Ruwenzori, “Mountains of the Moon” offer exciting trekking and climbing.